Acknowledge is an epic tale based on oral history interviews with cabdrivers and shelter licensees. Looking at the nature of the relation between driver and fare: the things that are shared within the temporary proximity of the cab, the work opens up an extraordinary view of London over an 80 year period. The work pays homage to the process of learning ‘The Knowledge’ in its challenge to the actor to attempt its recital. The performance premiered at St John’s Wood Cabmen’s Shelter (aka The Chapel) allowing special access to this intimate space normally restricted for the sole use of black cab drivers. The work includes a musical score developed with cab driver Mark Bird. This artwork is presented in three forms: a recital of script and song that premiered at St. John’s Wood Shelter in October 2014, through a series of intimate performances, a film montage that premiered at London Transport Museum in February 2015, and a limited edition publication. The work was commissioned by the Creative Intelligence Agency in collaboration with London Transport Museum and the Cabmen’s Shelters Fund with generous support from the Heritage Lottery Fund. To acknowledge is to recognise and express gratitude for. This project pays tribute to the significant, yet often invisible, service and knowledge of the cab driver. To acknowledge is to confess or admit. This project explores the evolving history of the relationship of cabbie and passenger; the stories that are shared between strangers in the intimacy of the cab and the extraordinary experience of Londoner’s lives that cabbies bear witness to. To acknowledge is to accept knowledge of. This project has been developed in collaboration with cabbies through the recordings of oral histories recorded for posterity and shared with the public through this work. To acknowledge is to greet through words and gestures. 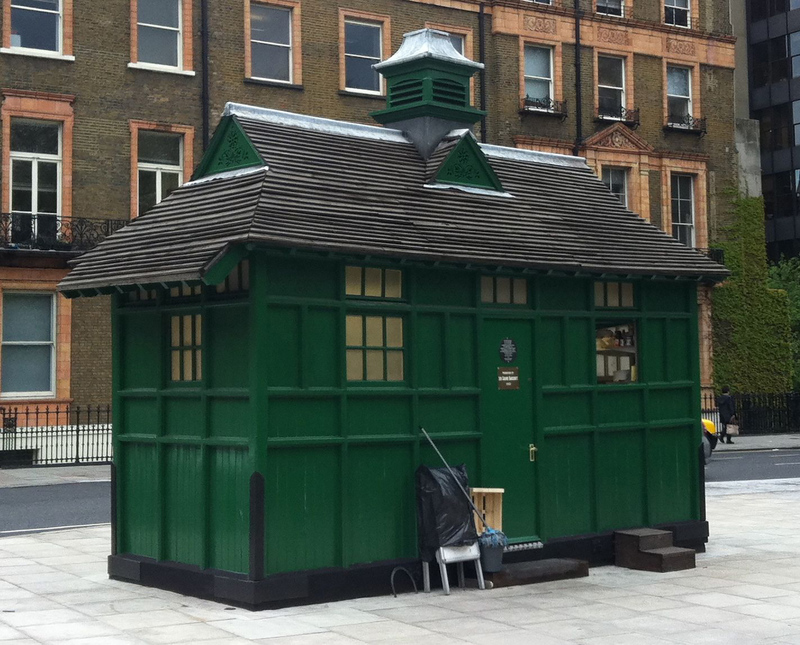 The script was first performed in St. John’s Wood Cabmen’s Shelter, a.k.a. The Chapel, allowing unique public access to this special location, ordinarily restricted to those who have passed the ‘Knowledge’. For more information on this project please visit www.cabbiesshelters.org.